I am not of the view that Mueller is on a fishing expedition or is about to go home. First, he has a few dozen defendants whom he has indicted and needs to try -- even though most are Russians indicted for hacking and interfering with the 2016 election campaign and will be tried in absentia. The third reason for rejecting the belief that Mueller will soon shut down is Mueller's declaration to a federal judge in Washington last week that Paul Manafort, Trump's campaign manager during the time the Trump campaign had 87 communications with Russians, lied to FBI agents in defiance of his commitment to be truthful to them made during his guilty plea in federal court in September. Mueller will no doubt seek to indict Manafort for each of those lies and then try him -- a trial that could not occur until mid-2019. Rudy Giuliani is a very talented lawyer. He has assumed two roles for his most famous client -- as legal strategist and as cheerleader. 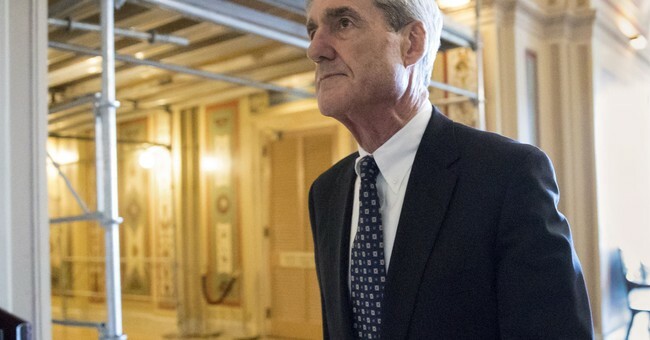 As a legal strategist, he brings a wealth of experience in federal criminal procedure, but he has no serious experience defending a person accused by the feds -- hence his morphing into the cheerleading role, in which he has candidly acknowledged to friends that his goal is not to dissuade the special counsel from pursuing his client but to influence public opinion so that if an indictment or impeachment of Trump were to come down, it would generally be unacceptable to the public. Yet the more he cheerleads the more he undercuts his reputation in the legal, judicial and law enforcement communities. That's because when he was the U.S. attorney in Manhattan, he excelled at utilizing the most extreme and aggressive prosecutorial techniques that the courts permitted -- the very ones he is now attacking Mueller for using. In the 1980s, Giuliani dispatched FBI agents to arrest corporate chieftains with television crews in tow. He burst into courtrooms, interrupting trials, to serve lawyers with subpoenas while they were trying other cases. He even wired a 10-year-old girl with a tape recorder and tutored her to entrap her mother in a drug case. He once arrested every person who was in New York's Washington Square Park on a weekday afternoon during a drug sweep -- innocent and guilty alike. He got away with it. Yet those untried absent Russians -- the ones scooped up in Mueller's witch hunt -- were punished without trial. They were barred from using U.S. financial institutions by President Trump in retaliation for their alleged interference in the 2016 election. A witch hunt for me, but not for thee.